I thought sure I would have to leave my vehicle to be serviced and diagnostic testing. I only had 1.5hrs of time because I am a caregiver. The problem was diagnosed and a thorough review of my car was completed and I was on my way in one hour! !They also washed my car.!!!!! Superb service and AWESOME customer service as well!!! Come visit Bryan Webber, one of the most charismatic and energetic sales professionals I know. 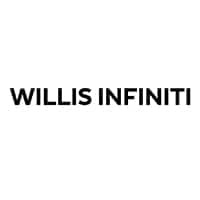 When you work with Bryan and the staff at Willis INFINITI, rest assured you will be well taken care of from start to finish and well after the sale.